As 2010 comes to an end, let’s take a look back at some of the public transportation systems across the world that made their debut over the past 12 months. From bike sharing to bus rapid transit (BRT), cities around the globe turned to sustainable transport to improve the quality of life for their residents, while also reducing greenhouse gas emissions and air pollution. 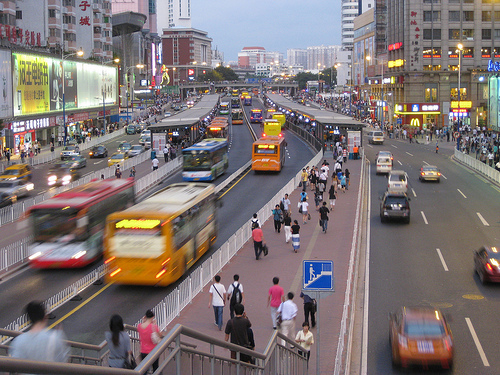 Several of the cities we mention—Guangzhou, Lima, Tehran, Nantes and Leon—were also nominated for this year’s Sustainable Transport Awards, which will be presented on January 24 during a special awards ceremony in Washington, D.C.
Guangzhou’s new BRT system launched in February, becoming “a system of firsts:” the first BRT to directly connect to a metro system, the first BRT system in China to include bike parking in its station design, the world’s highest number of passenger boardings at BRT stations, highest BRT bus frequency, and longest BRT stations. The system includes 980 buses stopping at 26 stations along 23 kilometers of dedicated bus lanes. Current ridership is about 800,000 daily passengers—more than triple the number of passengers of any other BRT line in Asia. It is a strong contender for this year’s Sustainable Transport Awards. Check out more photos here. Tehran, Iran expanded its metro system and its BRT system, making it one of this year’s nominees for the Sustainable Transport Awards. 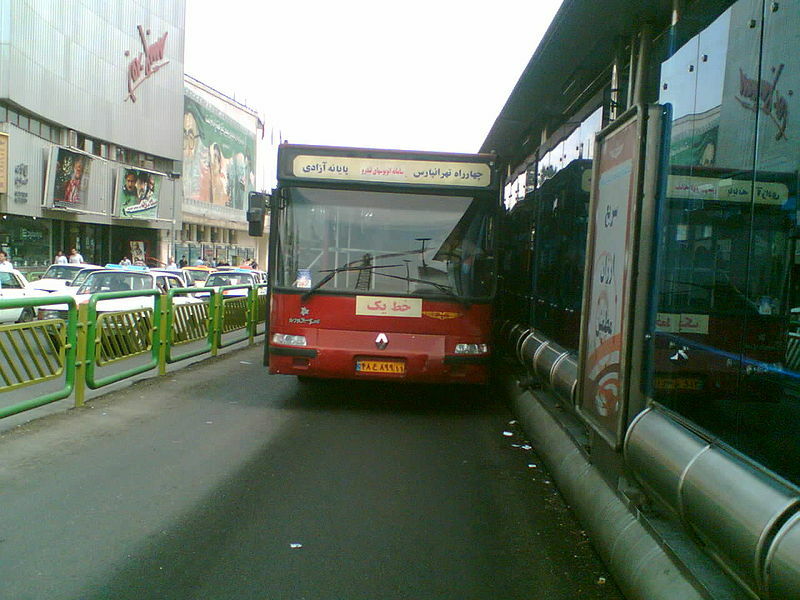 Today, the Tehran Metro boasts ridership of about 4 million people. And while the BRT lanes expand, city officials race to fulfill a program to have total public transit miles exceed 400 kilometers by 2020. 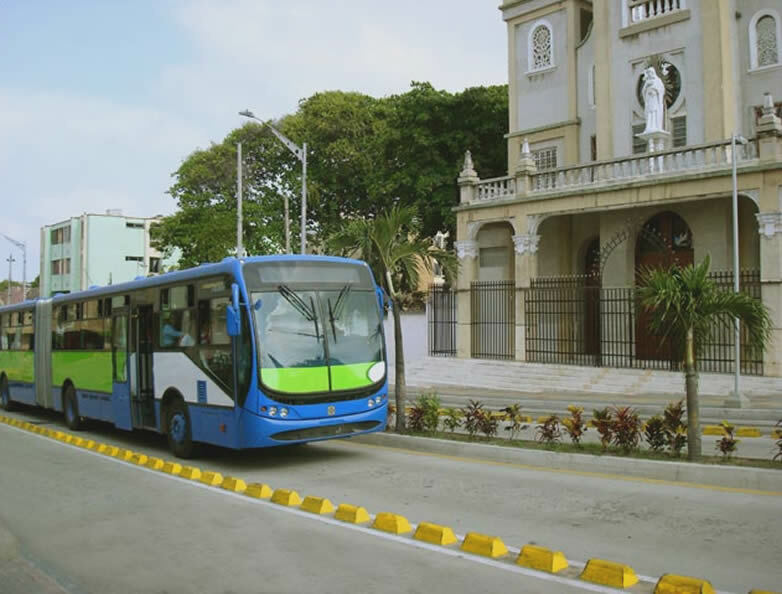 The Colombian city of Barranquilla opened the Transmetro bus system in April. Following the mega success of TransMilenio in Bogotá (which celebrates its 10-year anniversary this month), Transmetro includes key features of a successful BRT system, such as exclusive lanes, at-level boarding from stations and feeder buses. The system has improved mobility in Colombia’s fourth largest city and moves more than 200,000 riders per day. 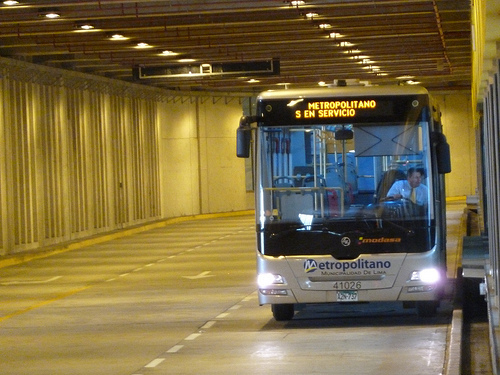 Elsewhere in the country, the city of Bucaramanga also opened its Metrolinea BRT system plus feeder services. 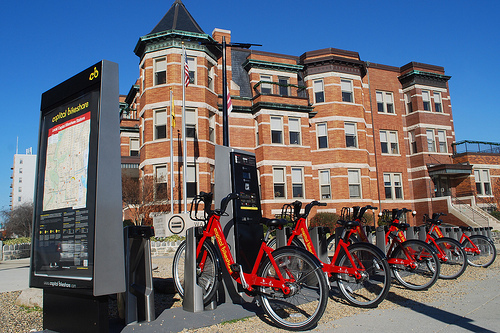 To increase use of 50 miles of bike lanes in Washington, D.C., the District Department of Transportation began operations of Capital Bikeshare, the largest regional bike sharing system in the United States with 1,100 bikes at more than 100 stations in the District and Arlington. Ridership on CaBi, even in the winter months, continues to grow and there are plans to add 20 stations and 200 more bikes in the next year. The sleek new system succeeds the capital’s pilot Smartbike program, which will cease operations as of January 3. In February, Mexico City released 1,000 bikes at 85 stations for public use downtown. Within seven months, the system already had more than 10,000 members and went ahead with expansion plans in the historic district of the city. 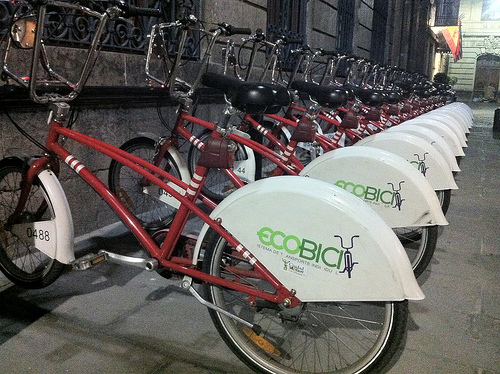 Pending continued growth in ridership, Ecobici may expand to other areas of the city, with an eventual estimated total of 6,000 bikes. With the massive success of bike sharing systems in other parts of Europe and the world, London took the big dive and launched its own system of 5,000 bicycles and 315 docking stations. Public reception has been so positive that a portion of the system crashed due to high demand when it was officially made “public” by opening up to non-members. 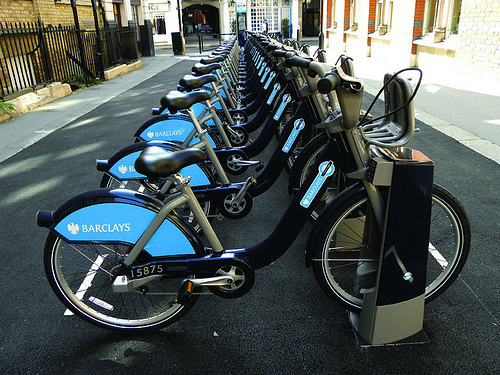 With more than a million rides in the first 10 weeks of operation, London announced that Barclays Cyclehire will expand with an additional 2,000 bikes and 4,200 docking points. The Dubai Metro opened in late 2009 and now carries 140,000 passengers per day, though officials expect ridership to increase to 170,000 daily passengers by the end of this year. This is good news for the Roads and Transport Authority, which aims to have 30 percent of the population using public transportation by 2020. 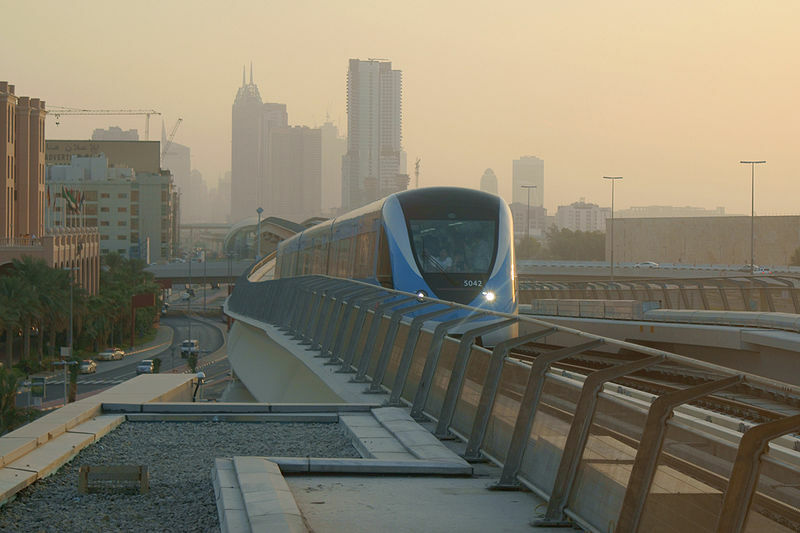 When the Green Line is completed next summer, the Dubai Metro will claim to be the longest fully automated metro network in the world, taking the title away from the Vancouver Skytrain. Dallas Area Rapid Transit (DART) opened its electric light rail Green Line just a few weeks ago. The $1.8 billion line, with 15 new stations, runs from from southeastern Dallas to Carrollton, ushering in “a new era” for notoriously car-centric Texas, according to The Dallas Morning News. U.S. Secretary of Transportation Ray LaHood applauded the system for being delivered ahead of schedule and on budget. He also pointed out that the Green Line’s launch was the longest single-day opening of electric light rail in the United States since 1990. After four years of construction, Lima’s BRT system El Metropolitano began operations in July with 38 stations along an initial 33-kilometer route. The system includes exclusive lanes, elevated stations, and smart traffic light technology to serve the Peruvian capital of nearly eight million. 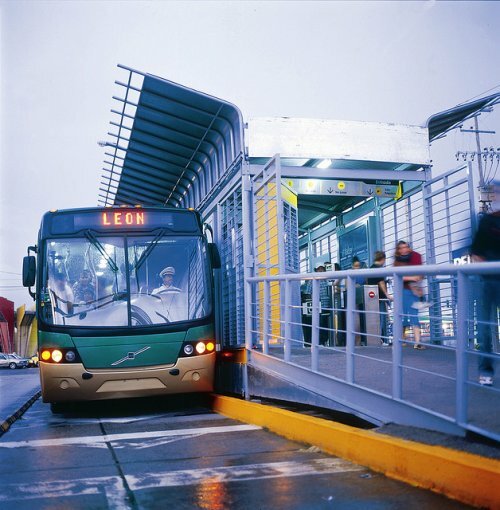 Leon, Mexico, a city of 1.3 million people, launched the second phase of its Integrated Transport System (ITS) in August. The system’s operations were optimized with 10 new stations and 5 additional kilometers of bus-only lanes, plus 29 new high-quality articulated buses. Now, 69 out of 100 public bus routes are physically integrated with the city’s Optibus BRT system, representing about 70% of the city’s public transport trips. As a result of its continued progress and commitment to sustainable transport, the city has been nominated for the Sustainable Transport Awards. Africa’s first high-speed rail line, Gautrain, launched in June, three days before the World Cup, linking Pretoria to Johannesburg in South Africa. 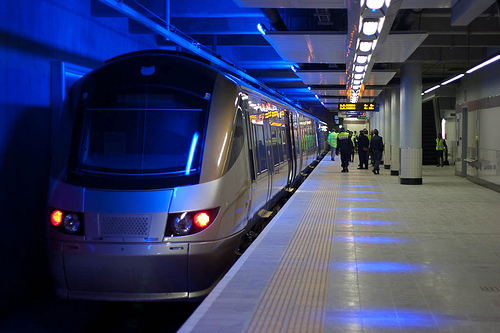 The train network will cover 80 kilometers once completed and will include two main lines: a north-south line from Hatfield to Marlboro and an east-west line from Park Station to Johannesburg International Airport. City officials got creative with their outreach efforts, hosting a “tweetup” test ride to invite new passengers on board. The Delhi Metro expanded from 63 kilometers to 156 kilometers, in time for the Commonwealth Games. Denver, Colo. launched B-cycle, the nation’s first large-scale citywide bikesharing system, which was recently demonstrated in San Francisco to support the recent funding of a Regional Bicycle Sharing Pilot Program. Jaipur, India re-organized its bus system to increase ridership, reduce travel delays, and improve overall operations. Vancouver, Canada installed a temporary streetcar for the Winter Olympics as a demonstration project and to build support for future downtown transit investment. Shanghai Metro expanded, now capable of handling about five million passengers a day and becoming the longest metro system in the world. The historic Angel’s Flight funicular railway in downtown Los Angeles reopened this year after being closed for a decade. The New York City Department of Transportation (NYCDOT) unveiled its first second bus line with elements of bus rapid transit (BRT). The express bus, the Bx12 line, runs east to west across the Bronx with limited stops. The express bus, the M15 Select Bus Service, runs north to south across Manhattan with limited stops. China opened the world’s fastest rail line, at 350 kilometers per hour, between Wuhan and Guangzhou. Erik Weber and Dario Hidalgo contributed to this post. 2011 Sustainable Transport Award: Developing Cities Serve as Model of Progress for the U.S. Tags: best of, China, Colombia, Dallas, Denver, Dubai, England, France, Guangzhou, India, Iran, Jaipur, Johannesburg, Leon, Lima, London, Los Angeles, mass transport, Mexico, Mexico City, Nantes, New Delhi, Peru, San Francisco, Shanghai, South Africa, Tehran, United States, Vancouver, vehicle sharing, Washington, D.C.